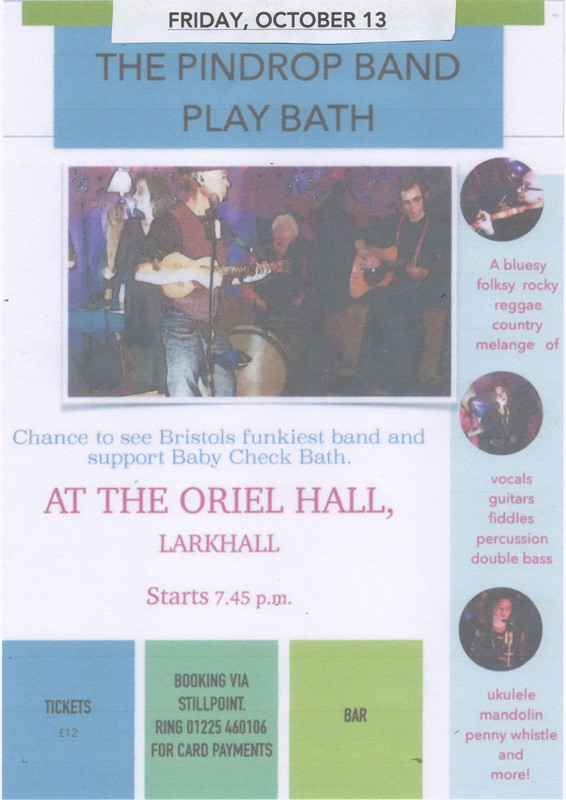 Come and join us for a fantastic musical night out – and support BABYCHECK, the charity that offers free osteopathy for babies up to 3 months old. Bristol’s one and only Pindrop Band will be playing at the New Oriel Hall in Larkhall, Bath, for one night only, Friday, October 13. What is more, osteopath Peter Cockhill, will feature on percussion! Tickets are available by ringing Stillpoint on Bath (01225) 460106. Numbers are limited so please buy your tickets in advance. They cost £12 and you are guaranteed a fun evening.